Sleeping and breathing quietly needn’t be stressful – especially when you’re well informed. Here are 6 expert-written, Information Guides free to download. All the jargon and medical terminology has been ‘decoded’. Starting with an overview of snoring and sleep apnoea, then a guide for long-suffering partners and finally the various treatment options. We do this, because we’re passionate about sleep and want you to be informed. They’re yours for free forever. No ads and no catches. ‘Mouthpiece’ could equally be called a splint, mouthguard, anti-snoring device, MRD, jaw-advancing-device etc. They’re free to download, and you don’t need to register. Snorer.com Guides are based on current best scientific evidence. They contain no adverts and are not ‘sponsored’ by a company promoting its ‘cure’. They’re full of critical insight and illustrations, and our intention in creating them is to help you determine what you actually need – not what someone might want to sell you. We don’t make money from recommending any particular therapy or service. Please do share them and link to Snorer.com – but please keep them intact and source them from us so we can keep what is online up to date. The Snorer.com Guides are accredited by the NHS Information Standard . 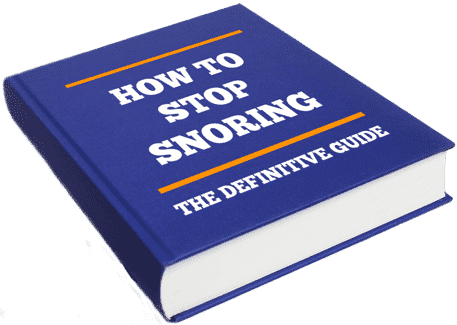 We aim to keep the Snorer.com Guides current. It’s a big job – so if you see something you think needs updating, please get in touch. scientific research published in peer reviewed journals. Please tell us what you like, what you don’t like, and what you’d like to see in future guides. You can rate our Guides below. Please include which Guide you’re referring to. Please do NOT link directly to the PDF files, as these are living documents and as such the URL will change – whilst the page will not. 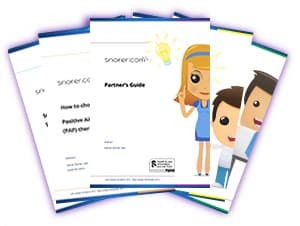 Snorer.com Information Guides are available for free in paper format for GP practices and Sleep units. We print to order and look merely to cover the costs incurred. Get in touch to request some 🙂 Thanks for helping us help snorers (and those with undiagnosed sleep apnoea).